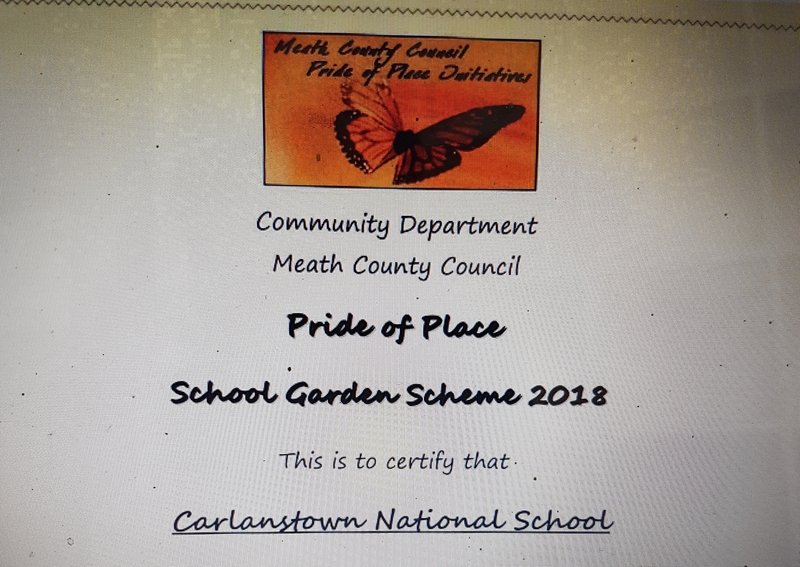 Building on the success of last year’s gardening projects Ms. Mulhall, Ms, Kennedy & Ms. Smyth have been busy planting in the garden again this year & entered the Meath Coco. Pride of Place (POP) Competition for schools. The children have grown lots of flowers & vegetables from seed with great results! The judge was very impressed by how much the children knew and how much work they had carried out. So much so he gave us our award on the day! Well done to all the gardeners!